1.05 (02/19/2015). Fixes change windows problem, in Merge Tables and Create Formula applications, for Excel 2013 version. 1.06 (11/29/2015). Fixes issue in app Extract Data Table, to add multiple fields at once in Extract box. 2.00 (03/01/2016). Incorporates automatic version upgrade for PRO licenses. 2.01 (05/24/2016). Fixes selection of tables located in other workbooks in applications Merge Tables and Create Formulas. 2.02 (06/16/2016). Add message to the user, that is shown every 15 days. 2.06 (11/25/2016). Corrects problem when adding multiple fields with function in Extract Data. Improved Manipulate Text screen. Adds user preferences (Other Features) option to select multiple items (in selection boxes). 2.07 (01/08/2017). Improve the use of format buttons in Other Features. 2.08 (04/07/2017). Fixes issue of grouping sheets from multiple workbooks in Manage Sheets app. 2.09 (07/19/2017). In Extracts Data app, change extraction mode to preserve the original data format. 2.10 (11/23/2017). Fix Customize Formatting Buttons, which did not allow to update them. 2.11 (08/28/2018). Add IFERROR for 2007 and later versions to the data merging formulas in Merge Tables and Create Formula apps. 2.12 (04/09/2018). Improves the preservation of original data format. Remove the "Options" tab in the Extract Data application. 1.02 (02/19/2015). Fixes change windows problem to select tables, for Excel 2013 version. 1.03 (02/25/2015). Fixes counting emails issue. 1.04 (05/30/2015). Correct insertion point of the fields in the Text box. 1.05 (06/13/2015). Improved sending problem in Filtered Range option. 1.06 (07/12/2015). Lets add more than one file in options for all emails; Add option "Reply-to Address"; Corrects problem by embedding jpeg/png images. 1.07 (07/26/2015). Add possibility to attach a file in Filtered Range option. 1.08 (10/21/2015). Solves sending mail trouble, which usually occurs for compatibility of configuration settings. The program indicated that the messages had been sent, without having actually sent. 1.09 (12/16/2016). 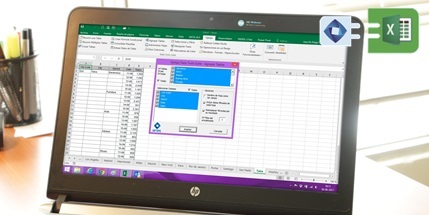 Excel 2016 version is released. 2.00 (03/15/2016). Incorporates automatic version upgrade for PRO licenses. 2.01 (07/13/2016). Improved option to save MultiMail definitions. 2.02 (08/12/2016). Corrects problem in Preview messages, which only showed the 1st.